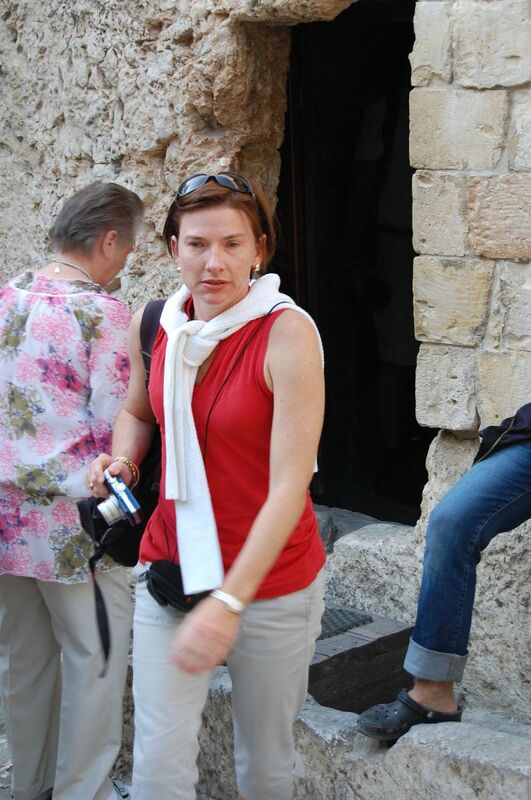 I am truly blessed to have visited the Holy Land in October, 2009. I wrote about the first half of my journey in my Hub My Trip to the Holy Land. 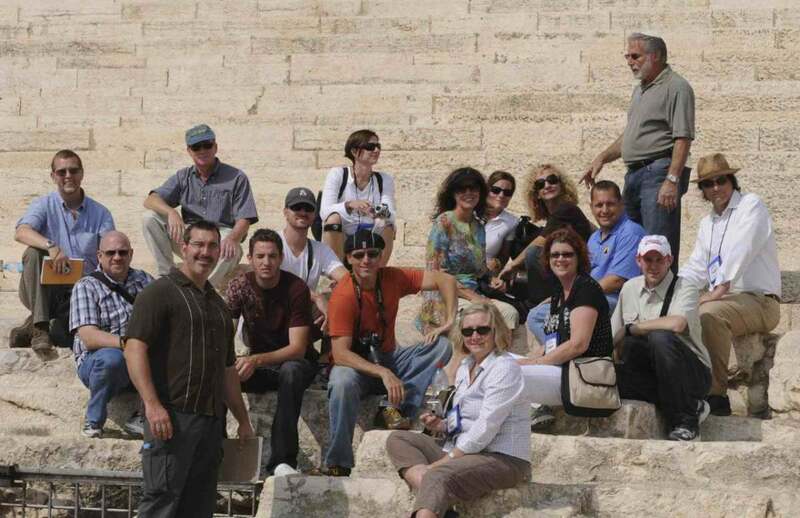 The second half of our sojourn was six days in Jerusalem, fulfilling a lifelong dream. Many of these photos were taken by David Lawrence. I traveled with a group of 18 souls, led by the outstanding teachers, Dr. 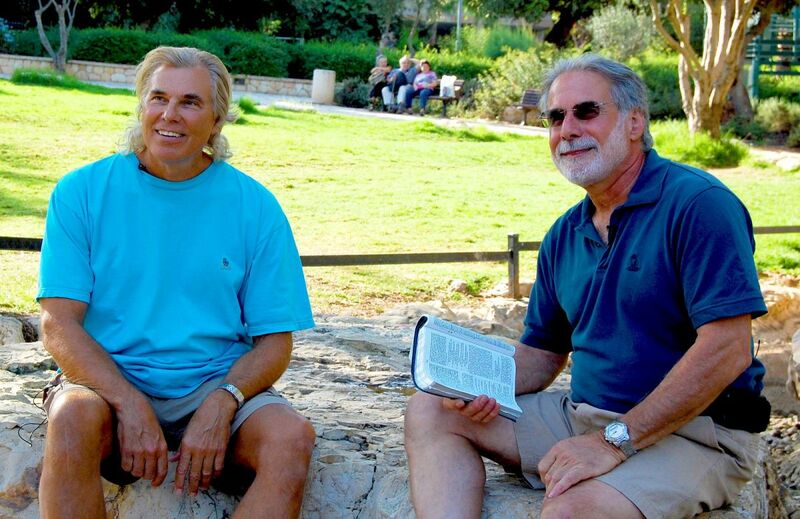 Skip Moen, and Messianic Rabbi Bob Gorelik. Among those in our group were my good friend John Thorman, an excellent writer and business consultant from Ocala, Florida; Bill Asma, a learned lawyer and fine family man from Winter Garden, Florida; Amy Gomes, a lady from Clermont, Florida, who devotes her life to the welfare of Ukrainian children with special needs; Patrick Sullivan, a young web site wizard and entrepreneur from Phoenix, Arizona; his mother Cyndee Sullivan, a very spiritual and handsome woman; Matt Miller, pastor of Grundy Center United Methodist Church in Iowa; Kish Swift, recently widowed after 38 years of marriage and from Indianapolis; and the youngest member of our troup, Keith Cooksey from St. Louis, who met an Israeli girl and set off on his own tour the last few days of our trip. Our first morning in Jerusalem began at the Mount of Olives, where Yeshua (Jesus) wept over the Holy City. Jesus ascended to Heaven from the Mount of Olives and here is where He shall return at His Second Coming. From there one has a panoramic view of Jerusalem. 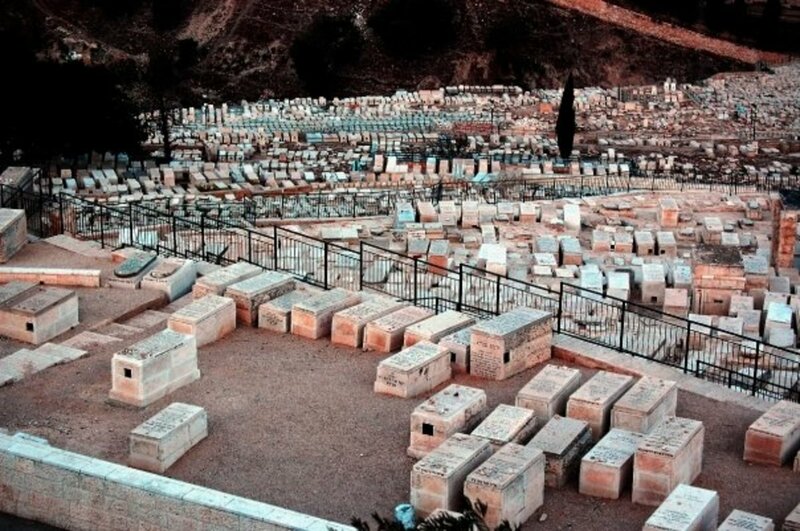 150,000 Jews are buried on the Mount of Olives, including thousands of rabbis. While under Jordanian control from 1948 to 1967, 1/3 of the graves there were desecrated by Muslims. We descended to the Garden of Gethsemane, long a focal site for Christian pilgrims. It was here that Yeshua prayed the night of His arrest; here that Judas betrayed Him with a kiss; here that Jesus was arrested. 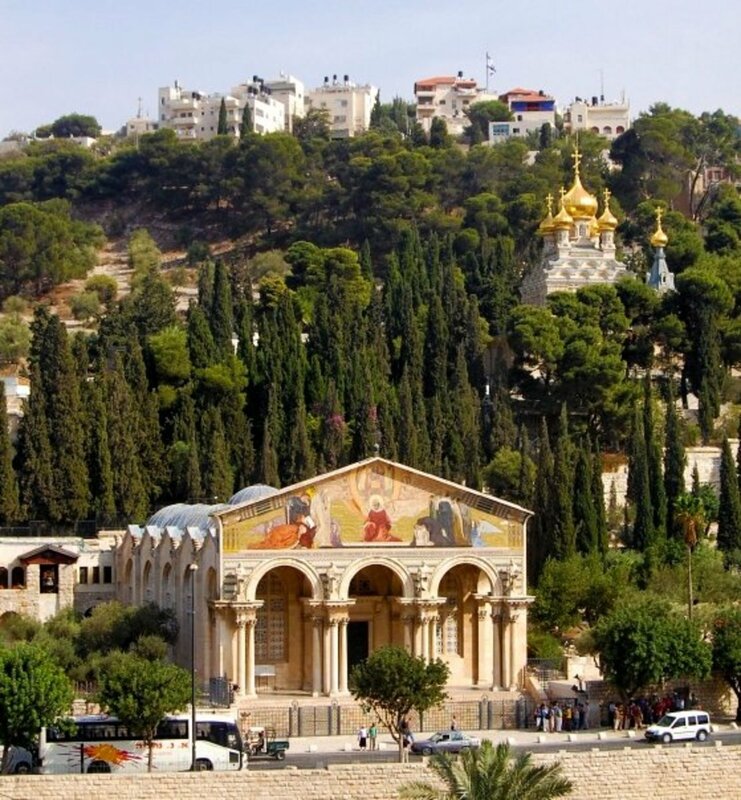 At the Garden of Gethsemane (means oil press) a church was built at least as long ago as the 4th Century that was destroyed by Muslims in 614. The Crusaders rebuilt the church, only to see it destroyed by Muslims again in 1219. In 1924 the Roman Catholic Church of All Nations opened on this sacred site. I think the Muslims have their eye on it, too. Our next stop was the ancient City of David, the original Jerusalem, which lies just outside the much newer "Old City" walls. Kind David ruled here 3,000 years ago, after conquering the city from the Jebusites, who had a city there for probably 800 years. 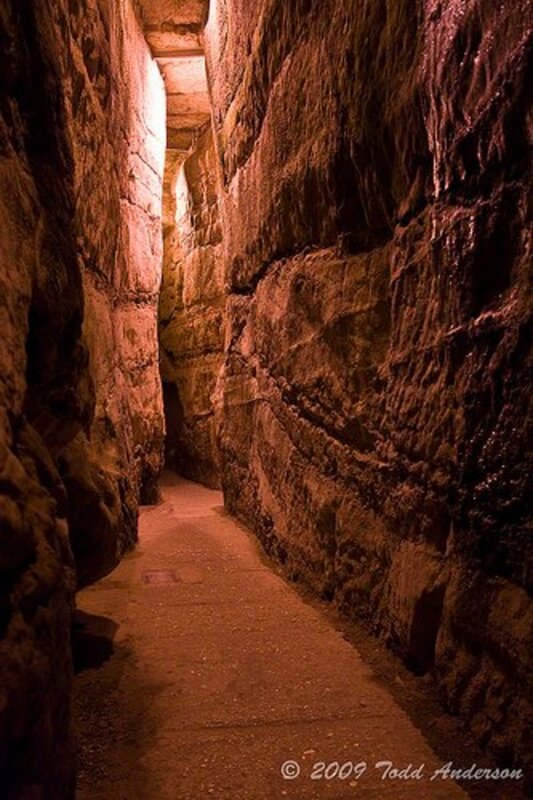 We walked the 533 meters of the 2700-year-old Hezekiah's Tunnel, discovered by American Edward Robinson in 1838. We stopped for a lesson from Rabbi Bob at the Pool of Siloam, where Yeshua healed the man who had been blind from birth. 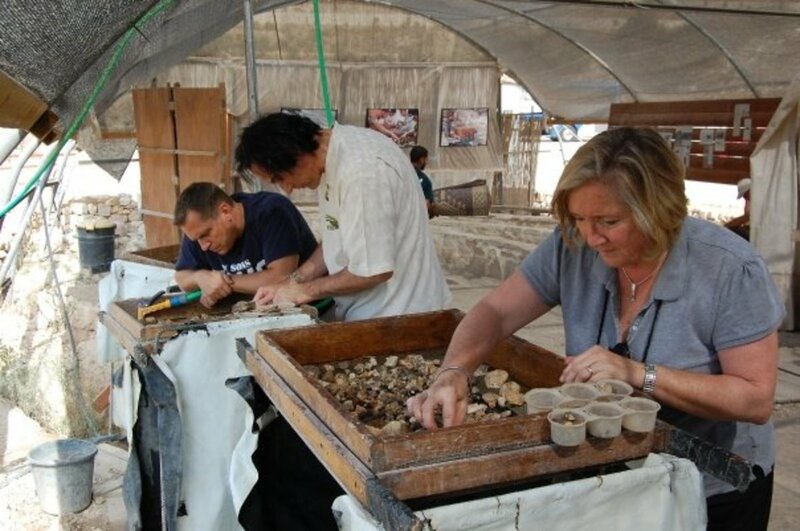 Next on the itinerary was a visit to the Temple Mount Antiquities Salvage Operation. It seems that several years ago Muslims decided to expand the mosque now on the Temple Mount of King Solomon, and illegally excavated and dumped huge quantities of archaeological fill in a secret place. The reason for the secrecy is that Muslims deny there ever was a Jewish Temple—laughable if not that many Muslims believe this propaganda—and do not want archaeology to prove otherwise. The Jews found the landfill and moved it to Tzurim Valley National Park, which is where we went to participate in the dig. Our discoveries included coins, mosaic tiles, potsherds, marble fragments and oil lamps. An interesting fact about archaeology is that nothing written in the Bible has been ever proved wrong. On the contrary, many Bible stories have been scoffed at by intellectuals and scientists only to have later archaeology prove the Bible correct. Late in the day we went to the Israel Museum, founded in 1965, where we viewed the enormous Model of Jerusalem in the Late 2nd Temple Period. 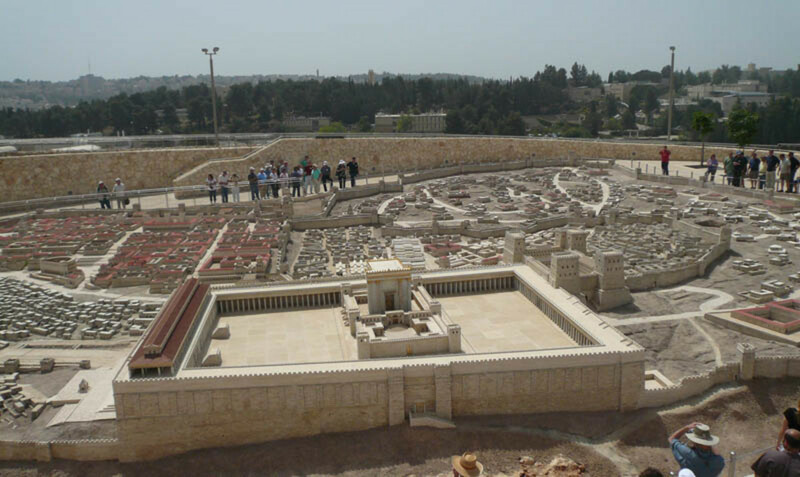 Built in the 1960s, the model shows a recreation of how Jerusalem is believed to have looked at the time of Jesus. From here, went next door to the Shrine of the Book, where we were allowed to view sections of the Dead Sea Scrolls. 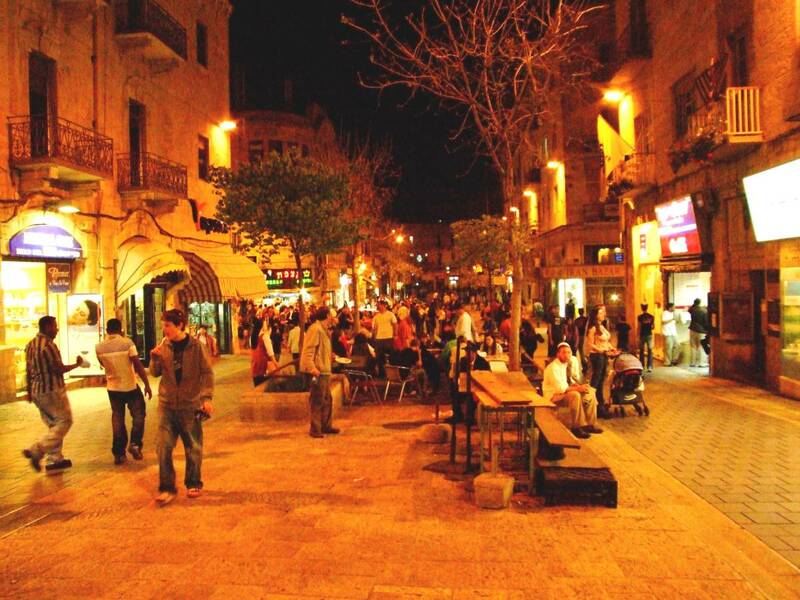 That evening, many of us traveled to check out the night life on Ben Yehuda Street. 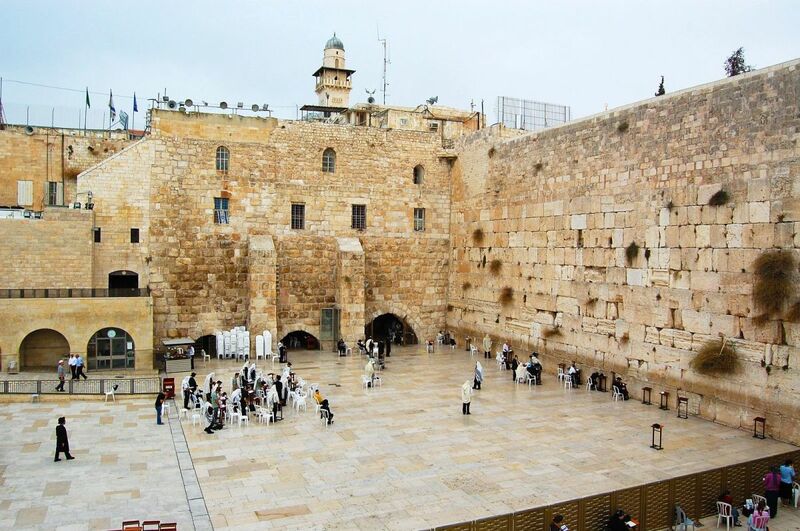 Early in the morning, we went to the Western Wall or Wailing Wall. This is what is left from the Second Temple, which was built on the foundation stones of the Temple of Solomon, the King of Israel of 3,000 years ago. 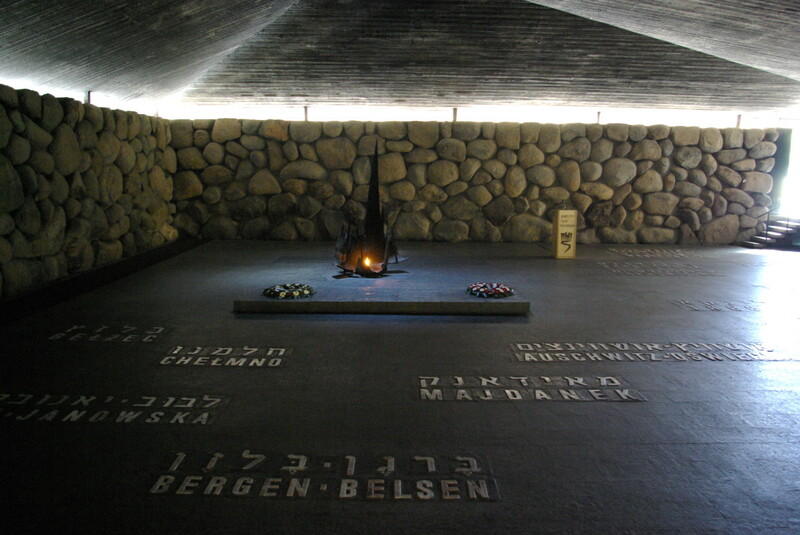 Jews pray and cry near it, and notes to Heaven are placed in its cracks. I put a prayer note there myself. 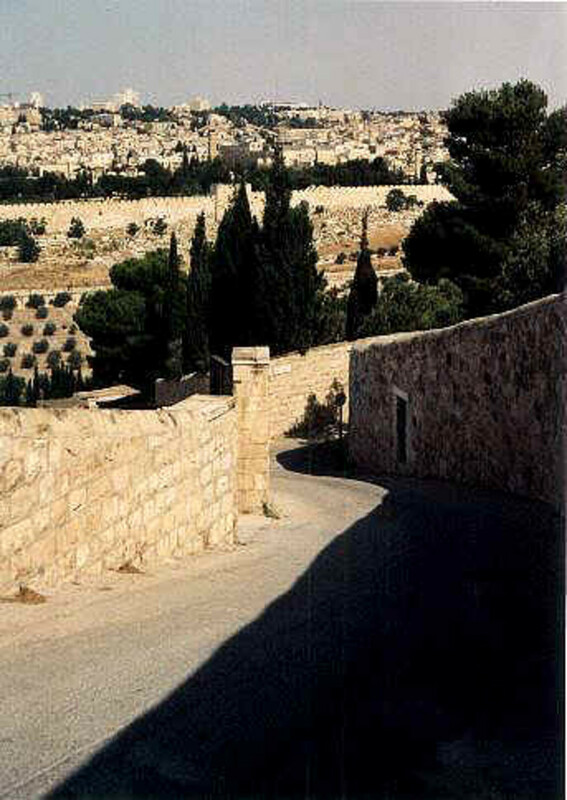 More than a million notes are placed in the wall each year, which are collected and buried on the Mount of Olives. We were blessed to go early on a weekday when there were not many people there. During Jordanian rule (1948-1967) Jews were barred from the wall. We then ascended to the Temple Mount, known in ancient times as Mount Moriah. This is the most contested piece of land in the world. Many Jews will not set foot on the Temple Mount as they consider it too sacred. 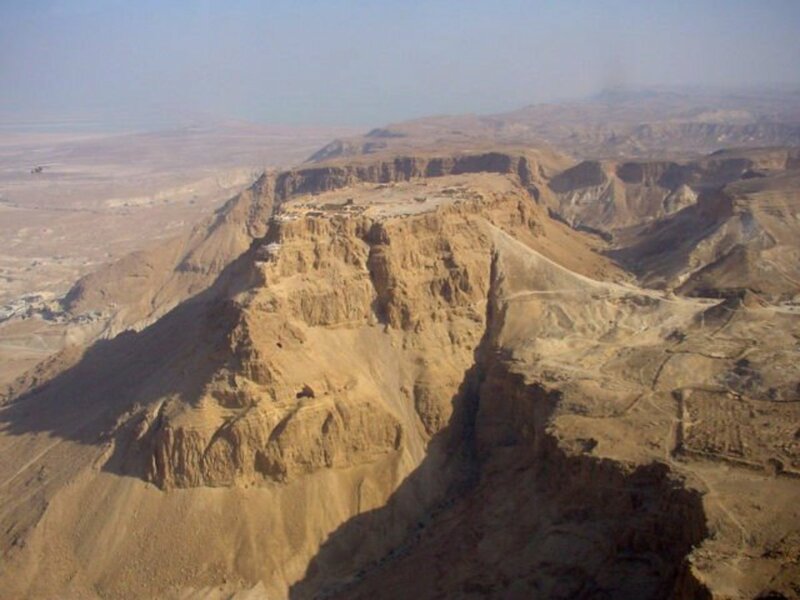 It is believed that this is where God created Adam and Eve; and where the Holy of Holies was located, the most sacred site in Judaism, once home of the Ark of the Covenant. In the 4th Century, St. Helena, mother of Constantine the Great, built a church on the Mount. 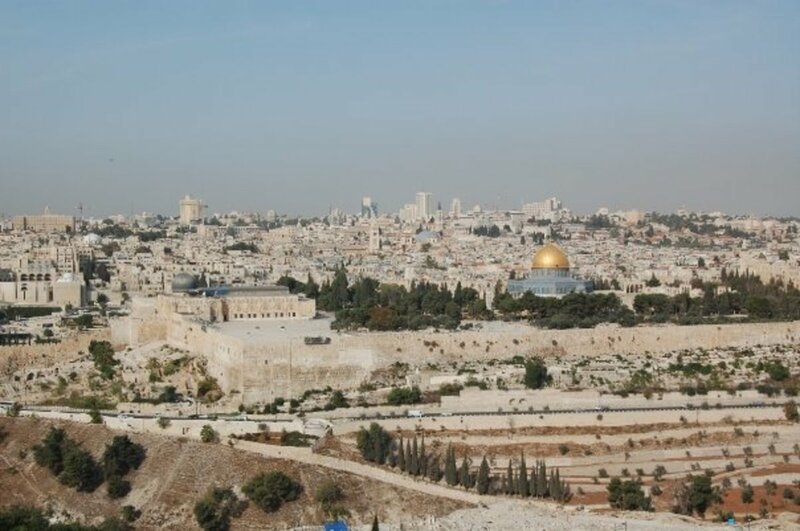 In 691, after conquering Jerusalem, Muslims tore down the church and built a domed octagonal building on this spot for political reasons—to obscure that this was a holy place for Jews and Christians. This building is called the Dome on the Rock. 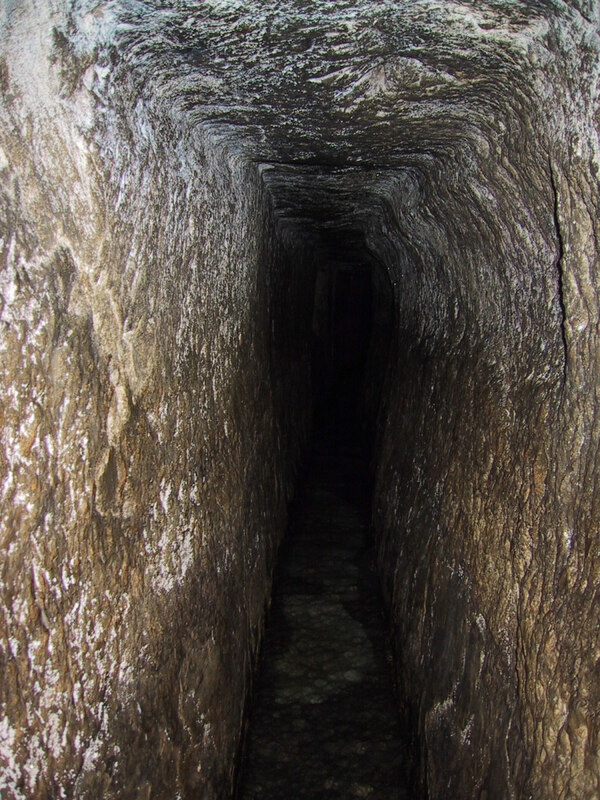 The Rabbi's Tunnel runs underground next to the Western Wall. Here one can see one of the heaviest objects ever lifted by human beings without powered machinery, the Western Stone. It weighs in at 570 tons. On the eastern side of the Temple Mount is the Golden Gate, or Beautiful Gate. For Jews this is the gate through which the Messiah will enter Jerusalem. To Christians, this gate will feature in the Second Coming of Yeshua, and be the place of the Last Judgment. 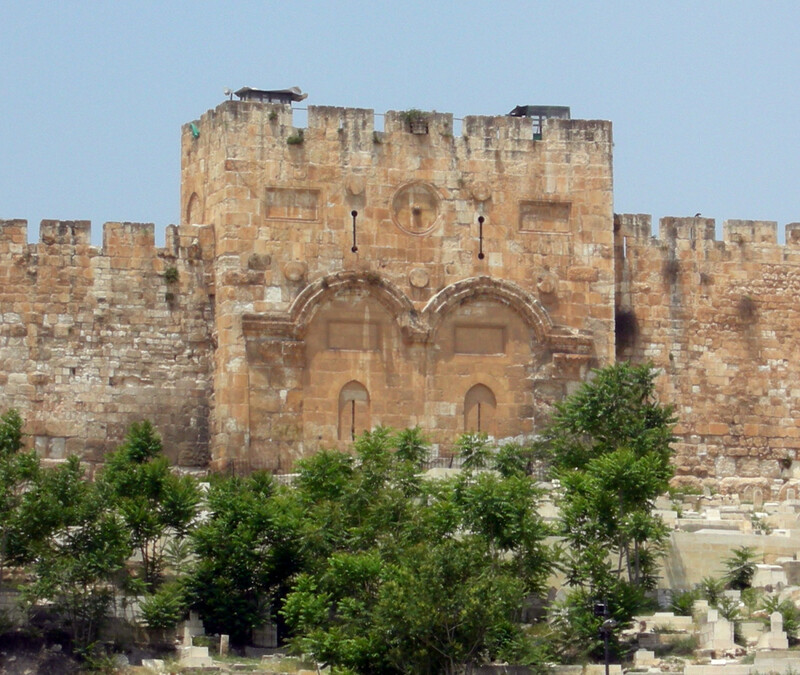 The Golden Gate is the oldest gate in Jerusalem and the only one visible from the east. It was sealed shut in 810 by Muslims, who also built a cemetery in front of it in 1541, in the erroneous belief that the presence of the dead would stop the Messiah from coming. In the afternoon I wandered around the Old City of Jerusalem. 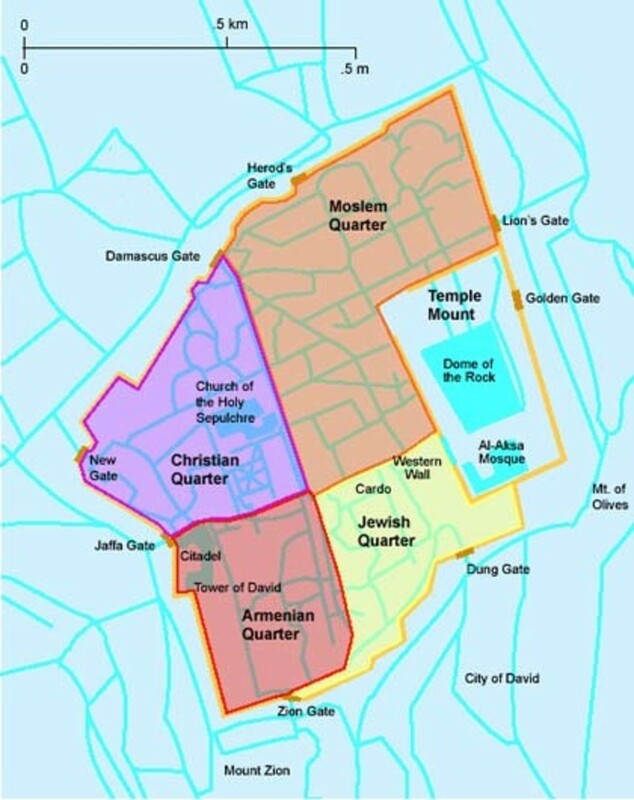 The Armenian Quarter has been occupied by Armenians since 95 BC and is centered around the St. James Monastery, built on the site of the prison where Jesus was held prisoner before His crucifixion. 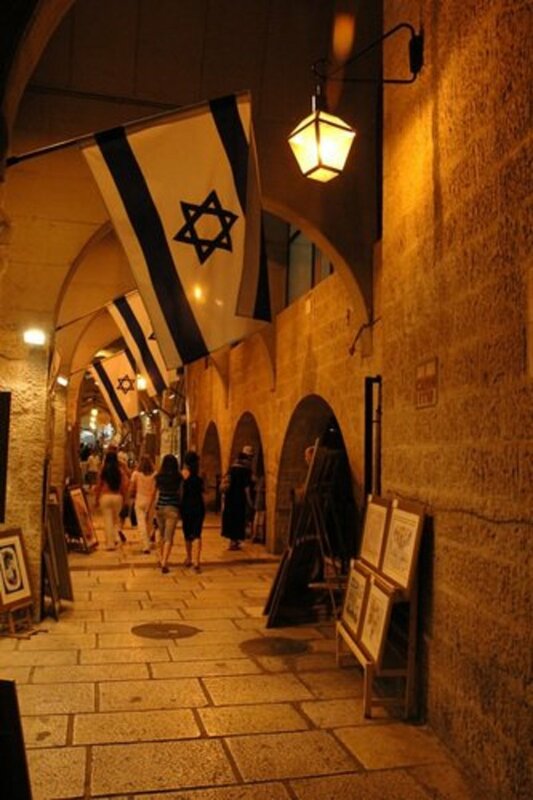 The Jewish Quarter is an area of Jerusalem where Jews have lived for 2,750 years, and 19,000 Jews live today. 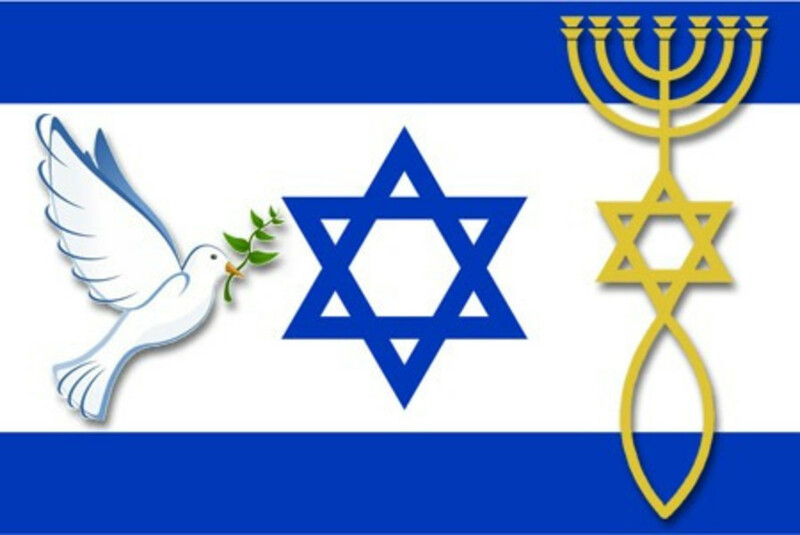 The Jews were expelled in 1948 by the Jordanians until they returned after Israel won back Jerusalem in 1967. 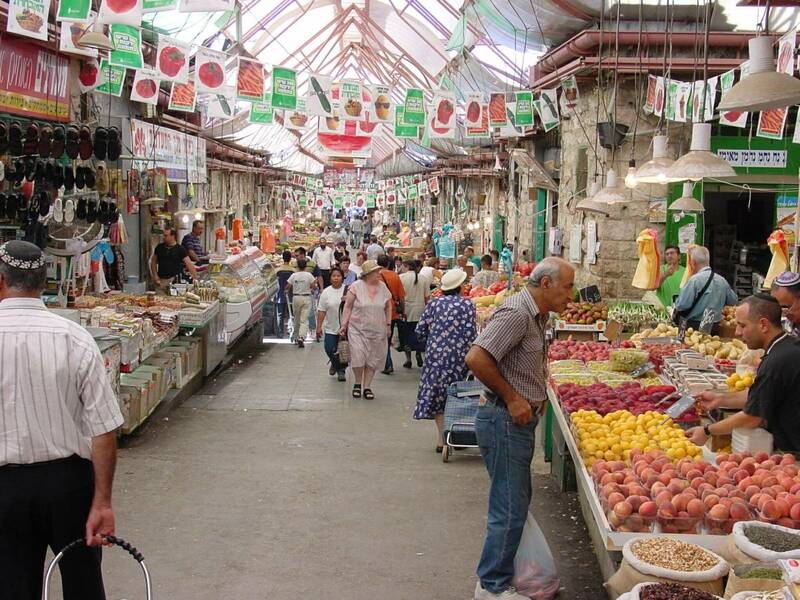 The Muslim Quarter has a population of 22,000, and includes a lively Arab market and bazaar. 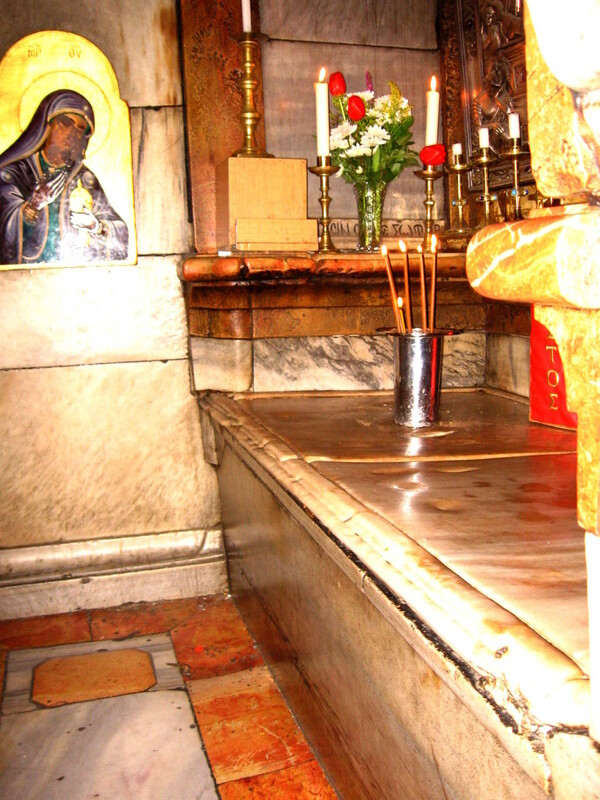 The Christian Quarter has at its heart one of the holiest places in Christianity, the Church of the Holy Sepulcher. This Eastern Orthodox Church is built over the site where many say Jesus was crucified and buried. Protestants do not believe it is in the correct place—which I will address later in this article. This site was venerated by Christians in the 1st Century but then covered with dirt by the Roman Emperor Hadrian out of hatred toward Christianity. Constantine rectified this insult by building a church here in 326. 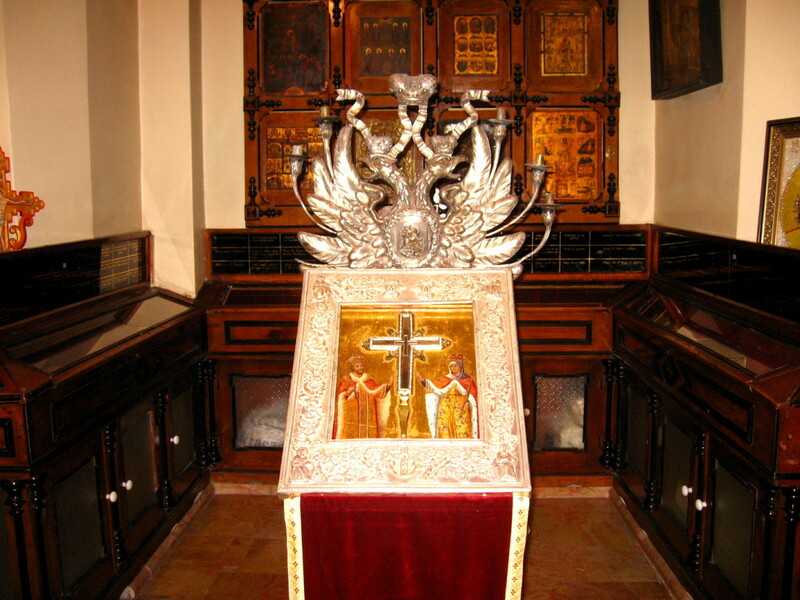 His mother, Helena, oversaw the excavation and construction; and allegedly discovered the Tomb of Jesus; and the True Cross on which He was crucified. In 1009 the church was destroyed by Muslims. Europeans were shocked at this destruction of the most holy place in all Christendom and this led to the Crusades. The church was rebuilt in 1048. Custody of the Church today is shared among Orthodox, Catholics, and lesser so the Christian Churches of the Armenians, Egyptians, Ethiopians, and Syrians. And so I walked on the Via Dolorosa (Way of Suffering) that is according to tradition the path Jesus walked on the way to His crucifixion. The next day we got on board our little bus and headed out of town for a day trip to the Dead Sea. As our magnificent tour guide Ariel informed us, the Dead Sea is the lowest place on Earth. The water is 34% salt—more than ten times the salinity of the ocean. Because of this, absolutely nothing can live in it. It is an eerie feeling to go into the Dead Sea. I walked in and by the time the water got waist-deep my feet drifted right up toward the surface. These waters are well known for their therapeutic qualities. 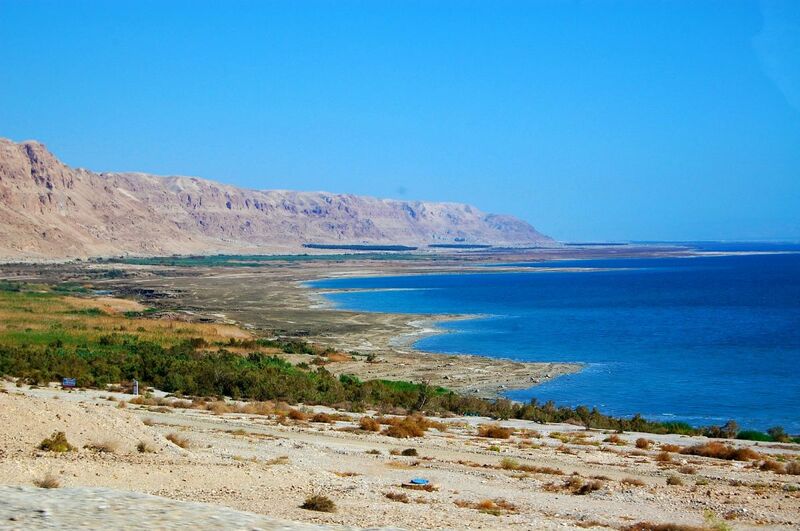 The Dead Sea is actually a lake, 51 miles long; 11 miles wide; and 1083 feet deep. 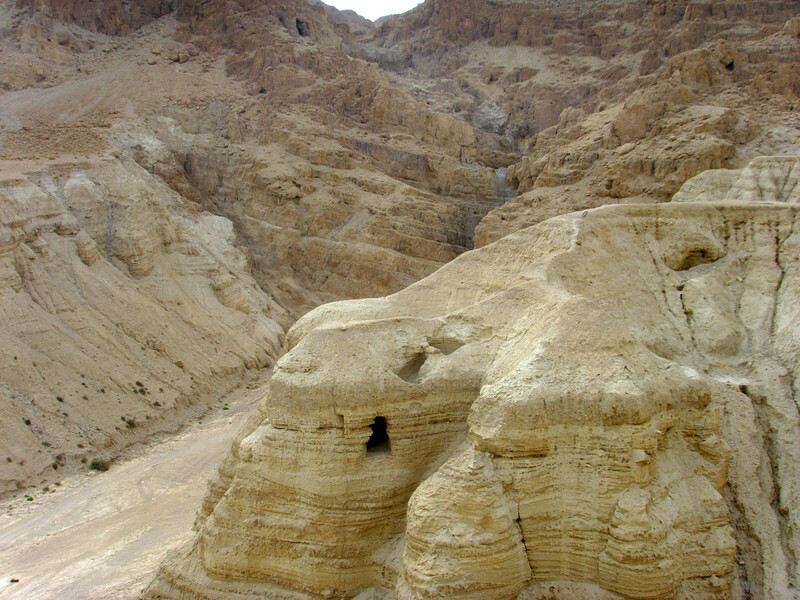 On the way there, we drove by the caves at Qumran, where the Dead Sea Scrolls were found. These priceless scrolls were found by a Bedouin nomad, who sold them for $29. We stopped at Ein Gedi, where David took refuge when he was pursued by King Saul. David wrote many beautiful Psalms in the caves here. Our other destination for this day was the ancient mountaintop Fortress of Masada (Masada means fortress—so that may be redundant). Finally, our feet caught a break as they had a cable car to ascend the mountain. It was here that 968 Jewish rebels committed mass suicide in the year 73 AD rather surrender to the Romans. This is an incredible archaeological site. Herod the Great built awesome palaces and waterworks here about 34 BC, that because of the dry desert air are wonderfully well preserved today. For our penultimate day in Jerusalem, our scheduled first stop was Yad Vashem, the museum of the Holocaust. Here one gets the true perspective of the Jewish people as to why the modern State of Israel was an absolute necessity no matter the cost. The Yad Vashem Archives has collected information regarding three million of the estimated six million victims of the Holocaust. It houses 74 million pages of documentation; over 2 million pages of testimony given by 46,000 of the survivors; and 350,000 photographs. When exiting the museum you suddenly step from a dark corridor into bright sunlight and a stunning view of Jerusalem. We proceeded to the Jewish National Fund (JNF), an organization founded in 1901 to purchase land from absentee Muslim landlords for development by Jews who were beginning to move back to their ancestral homeland. The JNF has since planted 250,000,000 trees in Israel, reforesting what once was a barren desert wasteland. The JNF has also developed 250,000 acres of land for agriculture, residences and businesses; built thousands of miles of roads; constructed 200 dams and reservoirs for this parched nation; and established more than 1,000 parks. Each of us planted a tree in an inchoate forest area. 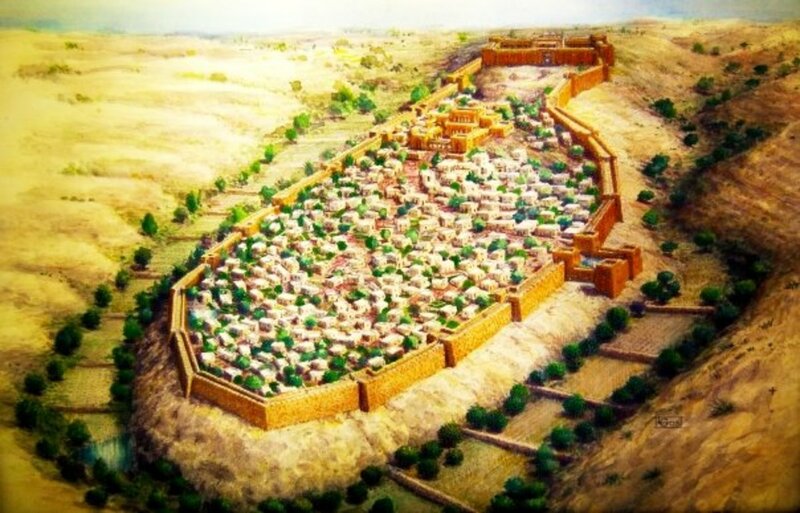 The Antonia Fortress, named after Mark Antony, was built next to the Temple Mount by Herod the Great. It is believed by some to be where Yeshua was brought before Pilate. 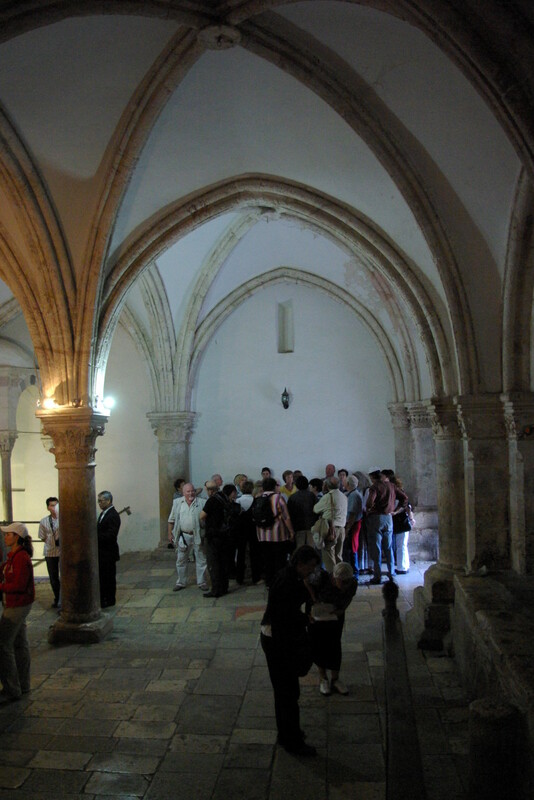 The Upper Room is where Yeshua taught His disciples and instituted Eucharist (Holy Communion) at the Last Supper. 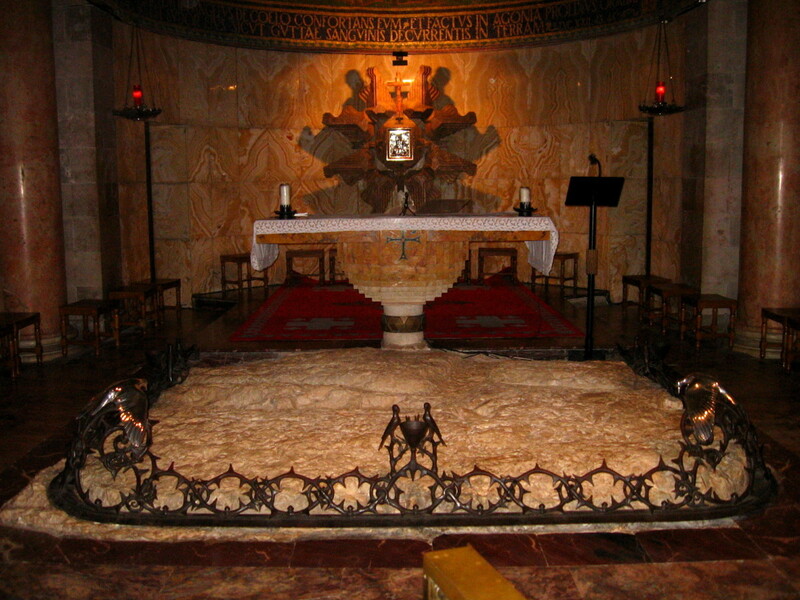 This is also where the Apostles regularly met; where Jesus appeared after the Resurrection; and where the Holy Spirit descended on the Day of Pentecost. The current building was constructed in the 13th Century by the Crusaders. On this site originally stood a Jewish synagogue later used by the first Jewish Christians. The Roman Emperor Theodosius built a church above it in 394. The Muslims razed it in 1009 but the Crusaders rebuilt it. The Muslims destroyed it again in 1219 (I'm starting to sense a pattern here) before it was restored by Roman Catholic Franciscans to roughly what we see today. The Muslims took it in 1552 and converted it into a mosque and Christians were not permitted to visit it again for 400 years—until the State of Israel was formed in 1948. The Pool of Bethesda is where Jesus healed the man who could not walk. It is also interesting to visit all seven of Jerusalem's gates, which are actually mini-fortresses. 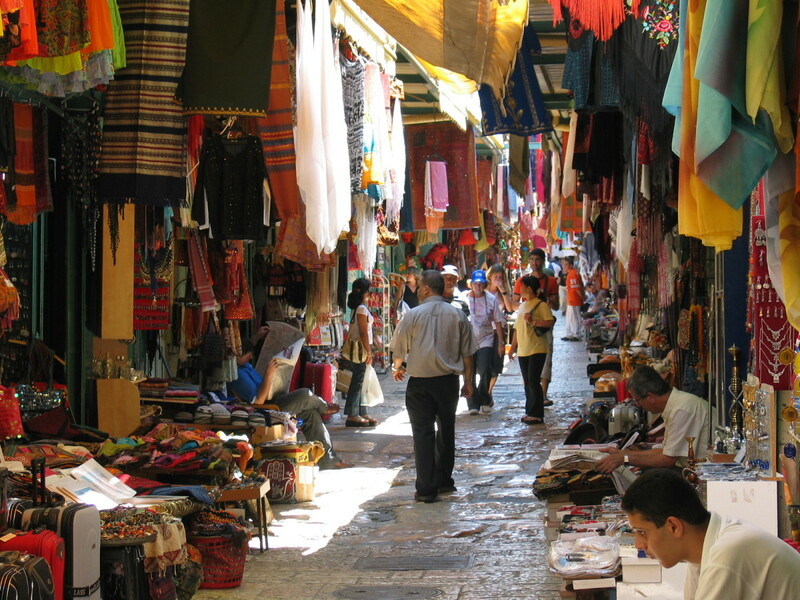 We spent the remainder of the afternoon at the Mahane Yehuda Market, where you can buy most anything it seems. It was very busy as Jews were stocking up for the Shabbat (Sabbath). I saw (and tasted) there the most beautiful fresh vegetables, fruit and nuts I have ever seen. Our last stop of the day was back at the Western Wall to witness the joyous Shabbat celebrations of the Jews. The place was packed. They were singing and dancing and praying—people of all ages. It was an unbelievable scene to see this much public praise and worship of God. All good things must come to an end. Our last day in Israel began with a drive out to the Ramat Rachel Kibbutz, where we could view Bethlehem, the birthplace of Yeshua. But we could not go there, since our driver, tour guide and Rabbi Bob are of course, Jews. We did have a nice view of the Shepherd's Fields, where David tended his sheep and where the angels proclaimed the birth of Jesus to the shepherds. The last stop of our tour was to be the Garden Tomb and Calvary. 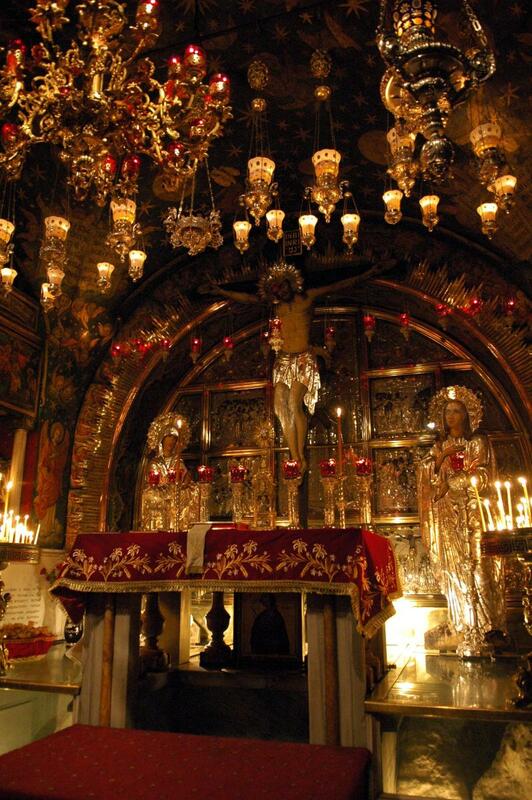 I mentioned earlier that Protestants (and Jews) have largely rejected the site of the Church of the Holy Sepulcher as regards to the Crucifixion and Burial place of Yeshua, primarily but not solely because the Church is within the walls of the Old City. Catholics believe Protestants rejected the Church because of anti-Catholicism. 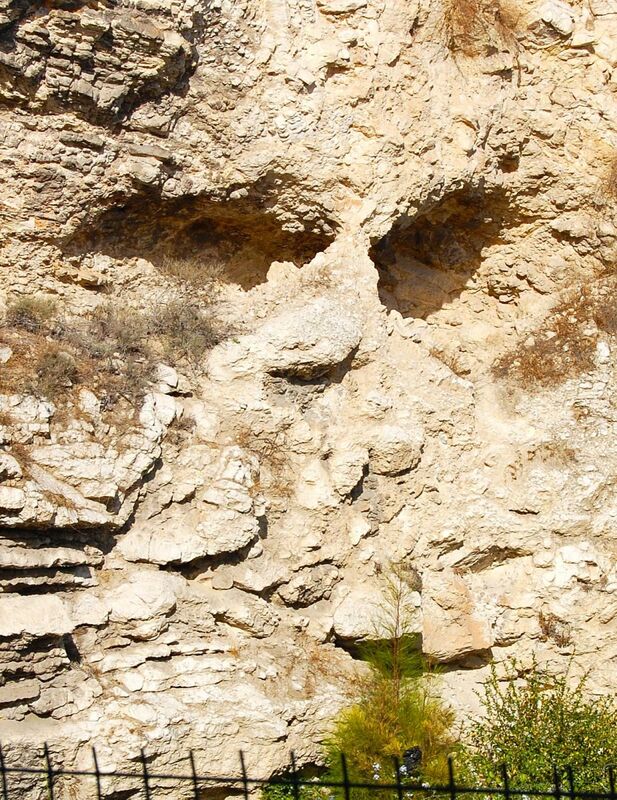 In 1883, British General Charles Gordon found a rock face that looks like a skull (even after years of erosion) and nearby a tomb, carved out of rock, next to a garden. 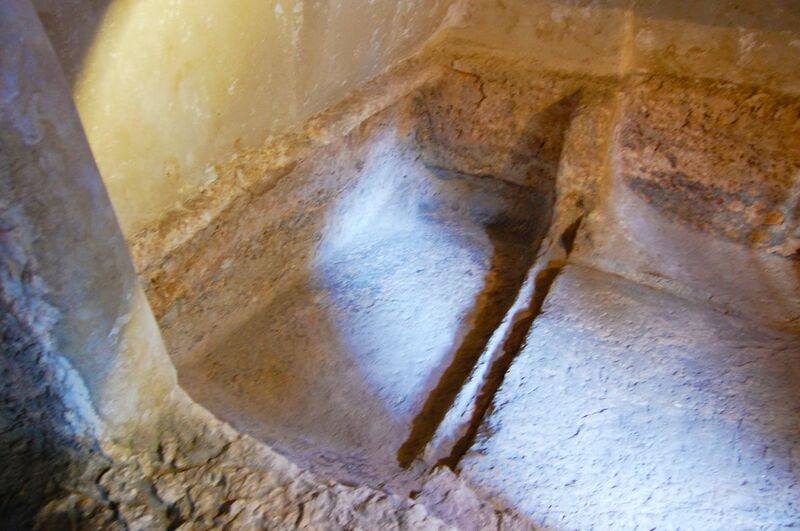 A large ancient winepress and a huge cistern were discovered near the tomb, consistent with a wealthy landowner such as Joseph of Arimathea. The tomb has a stone groove just outside its entrance that would be used for a stone wheel, weighing perhaps 3 tons, to seal the tomb. Our guide explained that the skull-like rock face is right next to the Jerusalem-Damascus Road—the busiest road of its day in the area—and that Jesus would have been crucified in front of the rock, not on top of it as is depicted in movies. The Romans were famous for crucifying people right next to busy roads to scare the travelers—this was no city for mischief. Jerusalem is one of the oldest cities in the world—with settlements dating back 5,000 years—and home to nearly 800,000 people. It is known to have been attacked and captured 44 times. There are 1204 synagogues, 158 churches, and 73 mosques in the city. Jerusalem, or Mount Zion on which it was first built, appears in the Old Testament (Hebrew Bible) 823 times; appears in the New Testament 161 times; does not appear in the Quran at all. 100 years after the Muslims first conquered Israel in 638, they gradually began calling Jerusalem a holy city for Muslims, recognizing that it was the most holy city on Earth to their religious rivals, Jews and Christians. Before the 8th Century there is no mention of Jerusalem in Muslim literature. But once they took the city, as per their custom, they began destroying everything in sight. That is why it is difficult to ascertain the exact location of some of these holy places. Peg Cole ~ It truly was an awesome and moving trip, let me tell you. It is like nothing else I have experienced before. I am so glad you loved reading about my visit to Jerusalem. I wish everybody would or could go. Nell Rose ~ What a pleasure it is to hear from you. I am so glad you enjoyed reading this article and that "the photos were awesome!" Jerusalem is a lot closer to you than it is to me. It is well worth the trip. 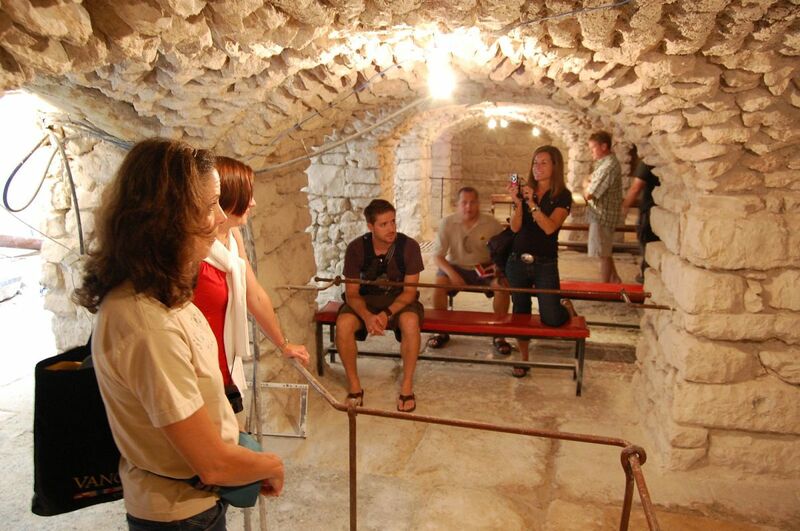 The details of your visit to the Holy Land were fascinating. 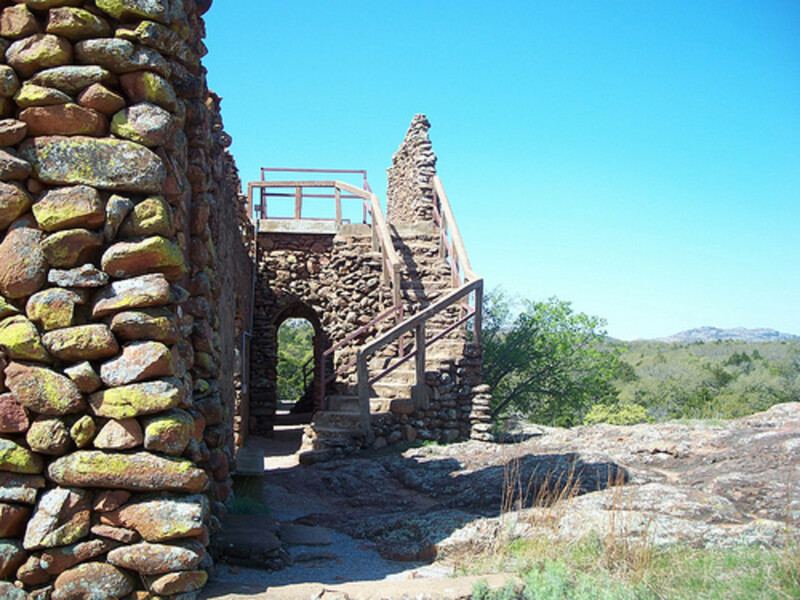 You've brought life to the significance of the historic locations I've read about and heard about over the years. The history of the Upper Room was amazing. What an awesome and moving trip this must have been for you, James. Loved reading about it. Hi James, fascinating read, and the photos were awesome! This is one place on earth I would love to visit, so much history and religion, wonderful! Kamran100— Thank you! And you are welcome, Kamran. I love history! I did have a great tour of Israel and Jerusalem. The greatest most illuminating two weeks of my life. I appreciate the visit and your comments. Peace to you. eafblog— I appreciate what you did say. Thank you and welcome to the Hub Pages Community. Vladimir! Great to see you here, my friend. Thank you very much for coming by. I love Promise Land, James. Kaie— I so love hearing from you. It was an amazing adventure. I would not advise wandering around in Israel. Only because, as we were warned, the Muslims will fill your face with rocks. I am lucky. I am blessed among men. Thank you for coming to see me and leaving your immortal words here. Completely proper where it warrants, but the wide open spaces tend to get me in trouble. Truth From Truth— Thank you. I have done a fair amount of traveling. I highly recommend Jerusalem. Of all the places I have been, it affected me the most. I hope you do go someday. Great Hub. I enjoyed the pictures and the guided tour. I think of my self as a traveler, but so far I have only seen North America, and the Carribean. 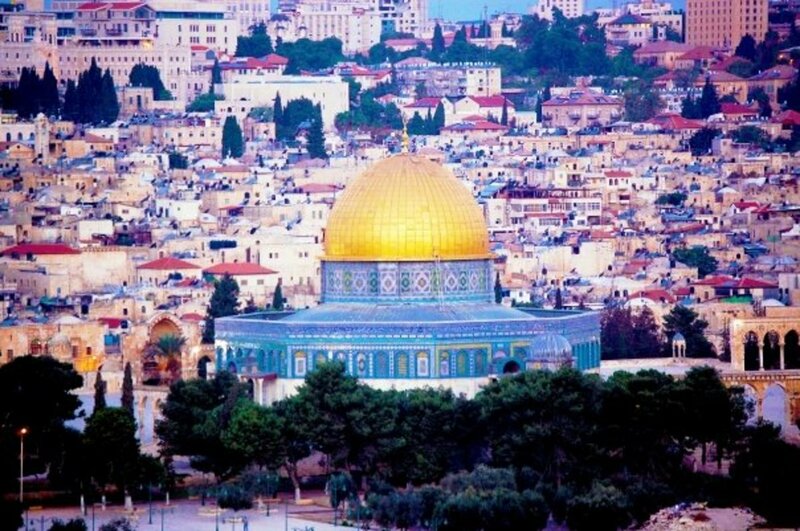 I would love to visit Jerusalem one day. lchris7— Thank you very much. It is surely is everything you say. I appreciate you coming by and letting me know you enjoyed this Hub. Welcome to Hubpages! Beautiful hub, beautiful pictures. It is great to see an area that is so historically significant for so many religions and is continually in the world news. Luanne16— You are welcome. Thank you for your nice compliments. I appreciate you coming by. Welcome to the Hub Pages Community. Wow! I'm so jealous, this trip is on my bucket list...this was a great hub and I really loved the photographs. Thanks for sharing! donotfear— I didn't find them commercialized and I apologize if I implied that. Hardly any of the sites charge a fee, though they have donation boxes. They are not sure about the exact location of many things. But some places are fairly certain, the synagogue at Capernaum, the Pool of Siloam, Ein Gedi, for instance. It was a Holy Land in my experience and highly recommended. Thank you for visiting. I'm really glad your shared this. I've often wondered about going there myself. 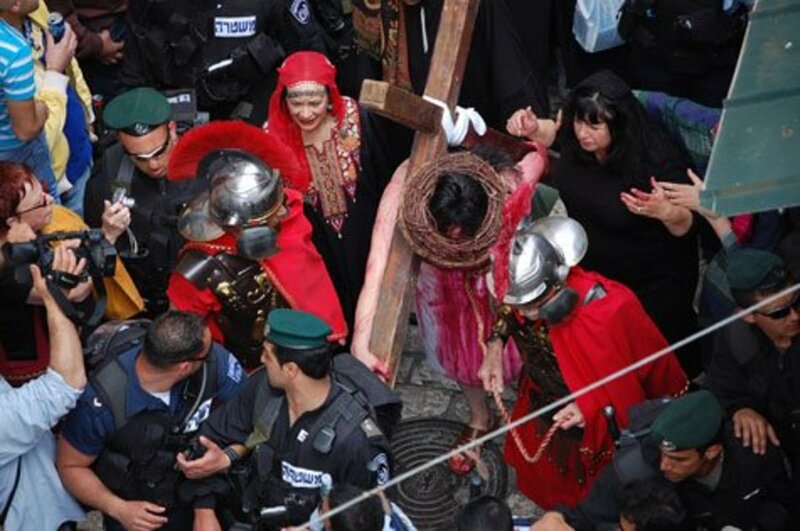 It makes me wonder, though, whether these sites are the actual sites where Jesus was laid & crucified. Seems a bit commercialized, but it would be interesting to visit. gracenotes— I found it funny that you said that because my roommate said at the end of our trip that he was sick of looking at rocks and stones. Not much of an archaeology buff he. I'm glad you love the pics and I am very pleased that you got to make the trip. Thanks for coming to visit. I appreciate it. I really am loving these pictures, James. It helps to have a professional photographer along on a trip to Israel. Our group went during the summer, when there are NO clouds. The glare and harsh contrasts don't make for easy pictures when you have a pocket digital. I wish I had chucked the digital and taken my Canon Sure-Shot, with several rolls of film. Israel is all about rocks and stones -- I don't think they're the easiest photographic subjects! dara— This is wonderful news! Since you are a fine artist, I am sure you know the power in art. And there is a higher power. You know the gift of creativity personally. We can get to know the Creator personally, too! Thanks, dear. make me want religion....Maybe even before this....? Allan McGregor— Thank you. I cannot fault your interpretation of these Scriptures. I believe that to be true. Thank you for visiting and for your wise words. To my mind this means that God promises to repay with kindness those who show kindness to Jerusalem, but to rain his vengeance upon those who raise their hand against her. I suspect if more people took God's Word seriously, fewer politicians would be so flipant towards Jerusalem. DeBorrah K. Ogans— I am elated with the enthusiasm in your response. It was an amazing adventure, to be sure. I am so pleased that you enjoyed this journey with me. You are one precious lady, let me tell you. I might have been a bit wordy but there was so much to relate that I saw. The Lord has touched my heart. You are most welcome. I am quite pleased to be an inspiration. James A Watkins, What a wonderful journey this must have been for you! Yes, you truly are blessed! 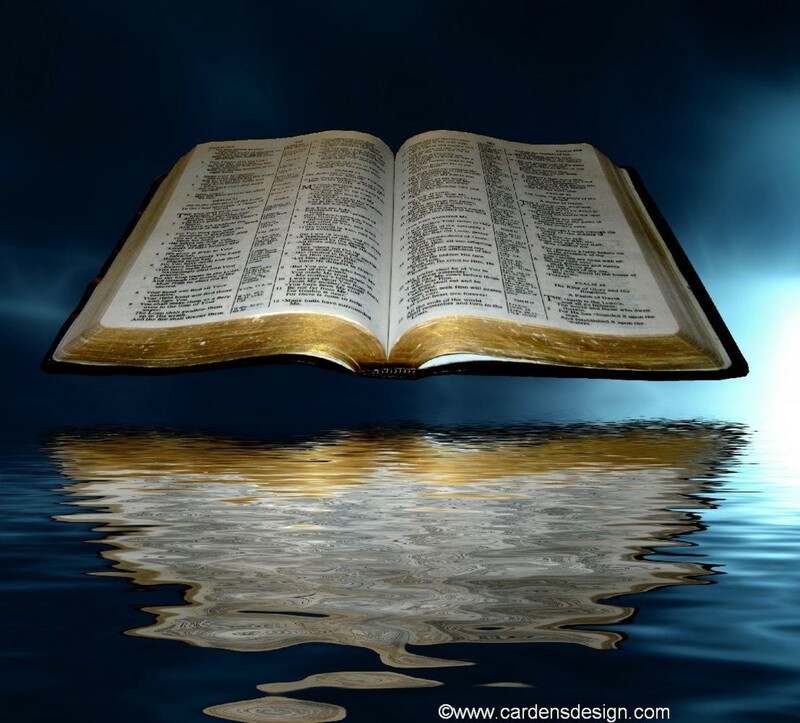 It is somewhat like virtually stepping into the actual passages of scripture. As always you have selected marvelous picturesque illustrations. This has truly been a wonderful and delightful treat! I must say, Professor you always give such thorough commentary. How fulfilling it must have been. I am happy for you that you were able to experience this. God has gifted you with the ability to share in a way others are inspired and can get a superb, realistic perspective without actually being there. How wonderful to visit so many places and the Holy City! WOW! I am sure that the Lord has touched your heart and amplified your gifts; because the Spirit illuminates this narrative. It shines through in your descriptive narration of your journey. Thank you for sharing this wonderful, fantastic journey! I am inspired and my heart has been touched with much Joy! God truly is AWESOME! I can’t think of a better person to share this in such a way that you feel more, more… Excellent! Thank you, Bravo! In His Love, Much Blessings! dusanotes— Thank you! I'm blessed to know you on HubPages, Don. I asked the same question when I was there and I was told that those are the grave markers but the graves are in the ground beneath. You are welcome. Thank you for your encouragement. Broker-Trade— Really!? How lucky you are. I have been thinking a lot about what a blessing it would be to live there for a year or a few. I am glad the photos brought back warm memories. Thank you for letting me know. I spent many years of my adult life in Israel. Much of that time was spent in and around Jerusalem. 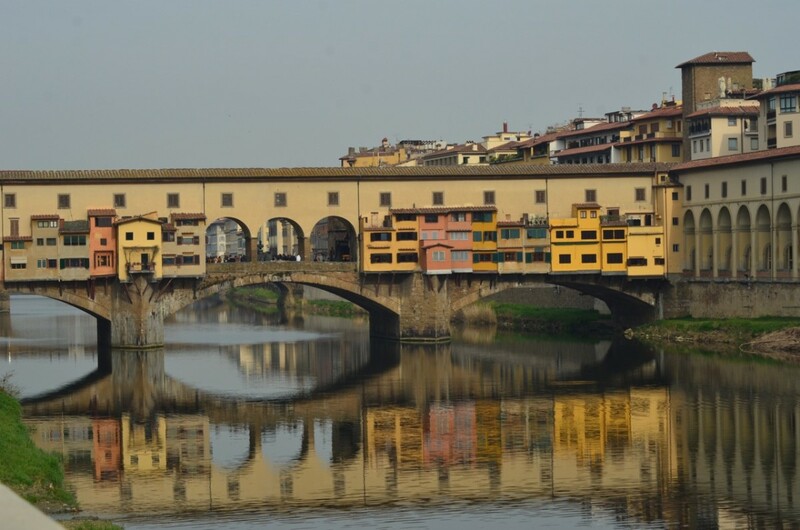 Your article's photos have brought back a thousand recollections of a city which stands as a true work of art. John Thorman— Broham! Thanks for the needful correction. I have changed it to the proper number. Big dif! David surprised me. He is a great photographer. We sure did share something special, my friend. I'm so glad we did it together. His Daughter— You are surely welcome. Thank you for visiting. It is life-changing. If you get the chance, go for it. Broham! Thanks for the kind words. I loved reading your post and looking at David's wonderful pictures. What a tremendous life changing experience we shared. One thing though, I thought that they have planted some 250 million trees by hand and not 250,000? Thanks for sharing this experience, James. One place I would love to visit. Great pictures! I know it must have been a life changing experience. All who go say that is so. Terrific account. You have a great grasp of history too. Id love to travel there sometime. God bless you brother. The Holy Spirit moves through Hub Pages. Now that is worth pondering a bit. Yes, I think so. You cannot know how much I appreciate your words here. Thank you. Hi James. I was going to get off the darn computer and I decided I had to go and visit Jerusalem. I am grateful I did. 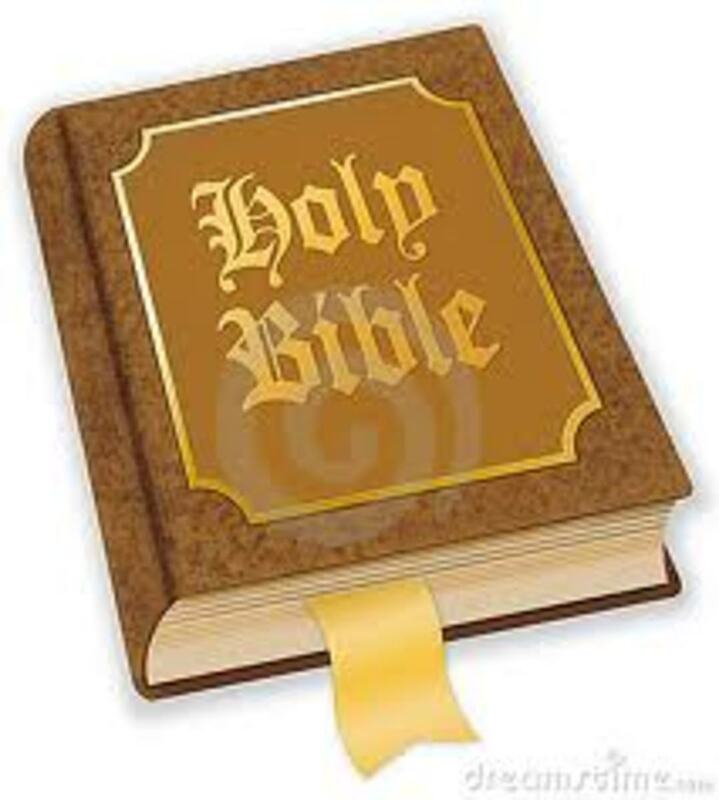 For reals this tops any literature I have read on the Holy City. You are truly a blessing to many. God is using you James all for his Glory. One day his children will be 'caught up' and homeward bound. He is sure to say 'job well done good and faithful servent' He has much planned for you and it is very good indeed. I look forward to more blessings he is going to pour on you. I pray you are blessed 100 fold for sharing the gift he gave you so freely. I know as writers do that it is time consuming and takes perserverance to stay steadfast. When it comes from the heart as your writing does the meaning touches the spirit. The Holy Spirit moves through hub pages and many gifted writers to share joy, compassion and experience. For the love of Jesus I am grateful I was led to this site. To have a host of friends as this is a blessing. Your friend. With Love. Beautiful, glorious hub. I felt Jesus in your words. I have tears of joy hearing his story through you. Thank you for your graciousness and your warm words. You like the the mini-diatribe? Good. I'll leave that in. You are far too kind. Nevertheless, thank you very much for encouraging me. And thanks for coming. creativeone59— How nice to receive a visit from you today! You are right on time. It was awe-inspiring to walk in those places, let me tell you. Thank you so much for coming by. And you're most welcome. I do hope you get to go someday. Thank for visiting. I going to get over to visit you, too. It is a pleasure to see the world through the eyes of a compassionate and well learned man as yourself. I may never get there, but I feel as though I have been and I thank you for sharing. Keep letting that brilliant light of yours shine along with the mini diatribe. The Holy Land is absolutely beautiful James and I know I will get to go there someday! Your images are absolutely awesome! 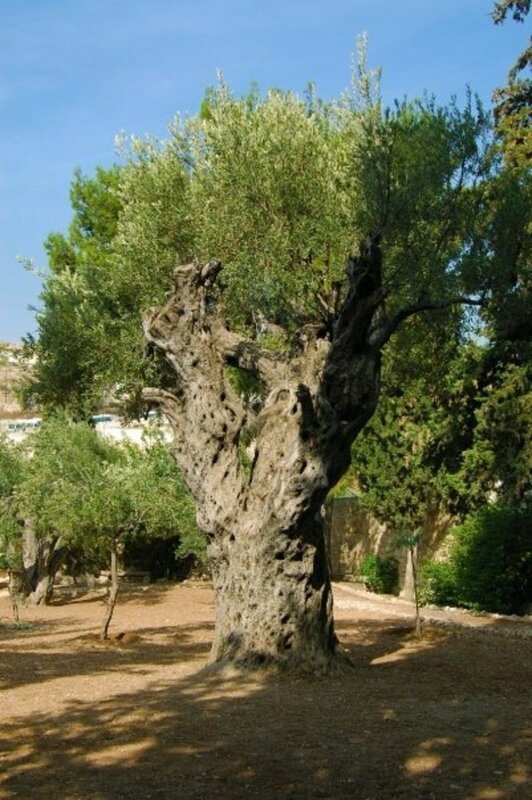 To think - just maybe that tree was there when Jesus prayed in the garden of Gethsemane! Amazing! gusripper— I did feel His Presence, yes. But no more than usual. God is of course everywhere all the time. I did pray but I didn't cry. Thank you for visiting. You ask good questions. 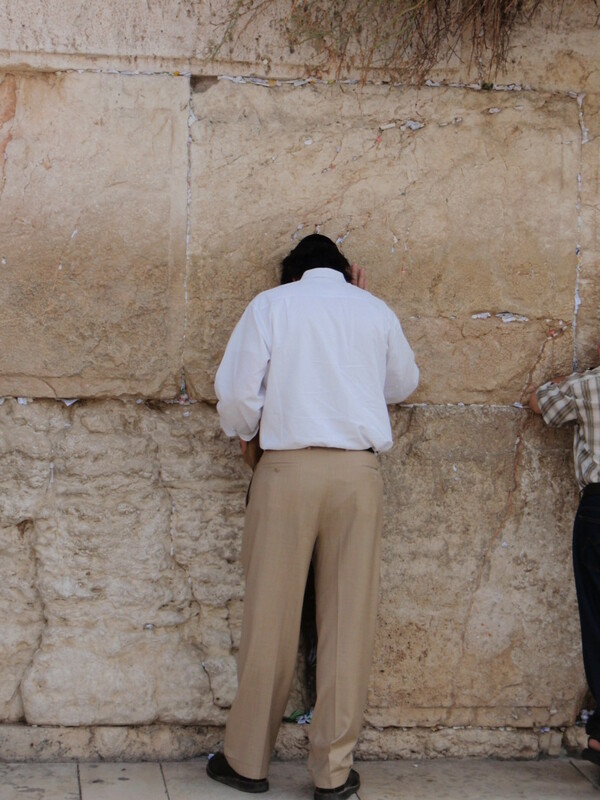 Did you felt His present?did you cry in the wailing wall?did you pray there? You should go! It is unbelievable. Thank you for the laudations. DCBULL— You are welcome and thank you for leaving your comment. I look forward to reading your work later today. Welcome to the Hub Pages Community! Pamela99— Thank you so much, Pamela, for your accolades. It is always uplifting to hear from you. And you are welcome. Tammy Lochmann— I am truly blessed beyond belief. And I was awestruck. Thank you for your warm words and you are welcome, too. paulgc— You are surely welcome, my fine photographer friend. Thank you for visiting and commenting. KellyEngaldo— I think that is my first five-star rating! Thank you very much for your affirmation. It feels good to be appreciated. Tom Whitworth— It was overwhelming for me to be there, Brother. You are most welcome. I thank you for your encouragement. Terrific, hub, James, full of great information - really makes me want to go! Wonderful, wonderful pictures!! An excellent slice of writing here. Jerusalem is steeped in history and thanks to you james a little of that history has now been passed on to me. Thanks. The photos, the knowledge you gave us made us feel as if we were right there. Stunning. I rated it up! 5 stars! Simply wonderful! I am truly overwhelmed and I thank you for the tour and for your recounting of it. Also for your witness. God bless you brother. Wow...this said it all....even clarified some things to me that I had wrong (great history lesson). Thank you for putting together such a beautiful summary of our trip. I hope you will share with the small group in College Park on the 20th. A masterpiece of a hub and it must have been such an experience. Even in the picture there is something there which you don't find in any other picture. They say cameras don't lie. Thank you doesn't seem to express enough gratitude for the joy reading your article. DaveRob— I am a novice myself! Thank you for kind compliment. God Bless You! habee— Thank you so much. I could not imagine it either until I got there. I'm not sure it has sunk in still yet. I appreciate your words. James, this is amazing. I cannot imagine the feeling of walking in the footsteps of Christ. I got inspired just reading your hub! DGMischSr— Thank you, my Brother in Arms. The feelings I felt in the Holy Land are ineffable. It is my pleasure to relay, as best I can, what I experienced there. Thank you for tuning in and letting me know that you did. Phenomenal James. Some day Bro we've got to make the trip together. I'd love to experience the spirituality you must have felt. I'm so glad you were blessed to be able to go on this trip to share this experience with everyone. Thank you so much for leaving your kind compliments. Thanks for the great introduction. Great pictures too (thanks to David Lawrence). Brings back fond memories of my own visit to the Holy Land last year. And yes, I'd love to return for another round. I was pleased to note that you had included your visit to the Upper Room. We're currently studying models of same in order to replicate it for the Holy Land attraction here in Orlando. I'll comment further after rereading a couple of times. Again, a great mix of commentary, history, travelogue and the occasional political mini-diatribe!